Summary: He had held a secret that destroyed her world. Review: God gosh! When I finished Fallen too far I was literally on cloud nine. 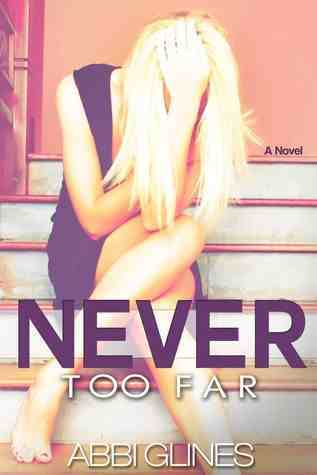 I found a new adult book and a author I was obsessed with so I was dying for never too far. It was so worth the wait! I've never sat with my kindle at midnight literally waiting for my pre order to come through like a crazy person. This is what Abbis books do to you. Blaire and Rush are back... But Blaire has a big secret and its about to change her and Rush relationship forever. The plot once again is fantastic in this book Abbi has hit it out the park. It's a shocker plot but it works If you have read fallen too far and you were thinking what could possibly happen next but honestly you have no idea! I think that Abbi writes Rush's and Blaires scenes so beautiful and dramatically that you literally feel everything the characters are reading! Their scenes keep you on edge. Their just loveable characters. You can see they love each other so much through Abbis writing. I loved every single character in these novels their personalities all shine through and effect the whole book and my emotions. Abbi writes relationships so well! And especially the men of the book! You always swoon and can't help but be mesmerised by her writing. Once again I love how it changes to different characters point of views. I think Abbi did this so effectively and really made the characters not at all two dimensional. Abbi has created word images so vivid that it is almost like watching one hot and intense movie. I have almost read everyone one of her novels and I can't help but want to read more and more. I wish she could write like a robot so that I could read them ALL the time! The writing was good. I did understand each person personality. I just got frustrated that the main character Blair was so simple and naive. I won't read the second one. It is a book for 18 to 25 year olds.